Renowned Fitness Icon, Gabrielle Reece, joins forces with Lifeline® to launch new HIGHX™ program worldwide. HIGHX is a high intensity group fitness program. Pivotal 5, LLC, a proven leader in commercial fitness and wellness solutions, announced that in partnership with Gabrielle Reece, the global launch of HIGHX, powered by Lifeline functional training products. 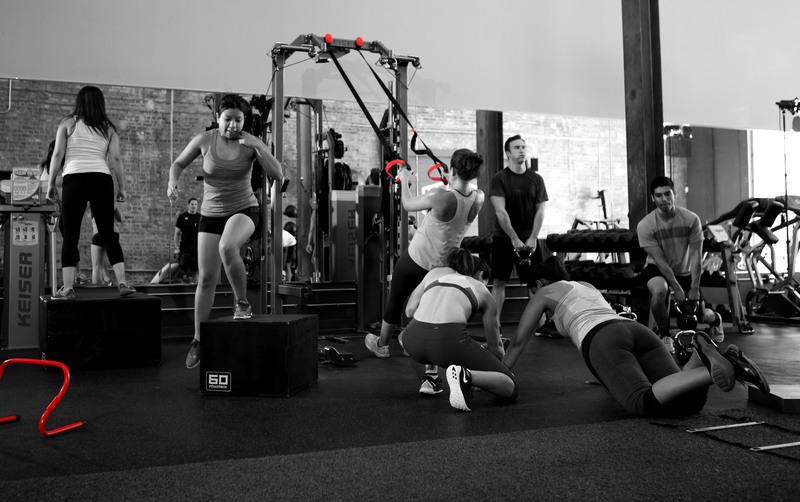 An innovative group fitness program, HIGHX is a high intensity explosive training and conditioning program designed to maximize the body’s ability to burn fat, build muscle, optimize the body’s hormone and physiological response to exercise while improving overall daily and athletic performance. HIGHX is a functional, systematic training format structured into multiple circuits to engage, coach and retain participants and members. Reece has been a dominant force on and off the pro beach volleyball circuit. As a result of years of personal experience and experimentation for her relentless pursuit to elevate her own fitness led her to create the HIGHX program. “I look forward to using HIGHX as a platform to inspire man and women worldwide to embrace healthy living” said Reece. “I started training the local community of Kauai, Hawaii a few years ago in a humble converted warehouse. With the goal of providing friends as well as myself the optimal functional training workout, but yet still accommodate a busy schedule, HIGHX training was born. I am thrilled to be partnering with LifeLine to make HIGHX available worldwide. Lifeline, a fitness leader for over 40 years, continuously develops revolutionary training tools that set the benchmark in professional grade product used for bodyweight, progressive variable resistance and functional training. For more information on Lifeline and HIGHX visit LifelineUSA.com and HIGHXTraining.com. Lifeline is currently distributed in 24 countries and in over 2000 fitness facilities. HIGHX will launch worldwide in 2015. Lifeline, a fitness leader for over 40 years, continuously develops revolutionary training tools that define the benchmark in professional grade products used for bodyweight, progressive variable resistance and functional training. Founded in 1973 by fitness hall of fame icon Bobby "Sugar" Hinds, creator of legendary products such as the first beaded jump rope and the Lifeline Portable Gym, Lifeline continues to be dedicated to defining and developing exclusive exercise tools powered by Innovation. Pivotal 5 is an industry leader and trendsetter in wellness and handheld fitness products. The company has a dynamic portfolio of products in yoga, prevention & rehabilitation, general fitness, athletic training and specialty fitness categories. Its brands include Natural Fitness, Rejuvenation | Prevent + Perform + Recover, KettleWorX, PER4M and Lifeline. In addition, Pivotal 5 has developed a product line under licensed brand Iron Gym. Pivotal 5 has built a talented, competitive infrastructure focusing on innovative brand/product development, direct to consumer product supply and retail distribution through retail, infomercials and fitness facilities worldwide. More information is available at http://www.Pivotal5.com.